Get Made Over At The Underground Tonight! Not only can we say TGIF, but TG for an extended weekend, too! There will be plenty of time for rest and relaxation over the next few days, so grab the girls and head out for a night of beauty (and dare we say, booze) at The Underground. Before the floodgates open to the general public, the cavernous space will be set up to facilitate hair styling by Robert Jeffrey Salon, polish changes by Astrowifey (that girl gets around! ), makeup touch-ups by Christine Khasho Designs, eyebrow shaping by Flutter Lash Studio, and a jewelry showcase by Dana Rebecca Designs. This VIP reception is completely complimentary, so you'll have plenty of cash left over for the rest of the weekend. Reserve your spot by emailing RSVP@TheUndergroundChicago.com. 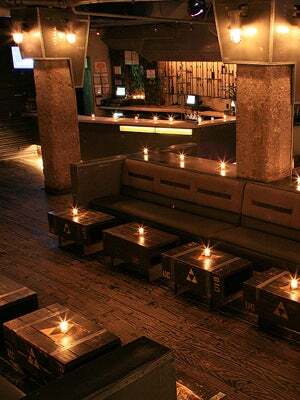 Where: The Underground, 56 West Illinois Street (between Clark and Dearborn), 312-943-7600. When: Friday, August 31 from 9 to 11 p.m.